Click Consult has earned Premier Google Partner status, an accreditation which means Google trusts us to manage Google AdWords campaigns. 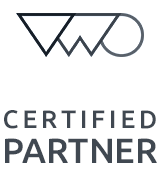 To become a partner, we had to pass a number of Google AdWords certification exams, in both search and display advertising. We also proved that we have implemented best practices in managing our clients’ accounts and, by meeting the spending requirements across our managed accounts, have shown that we have a healthy level of business activity. 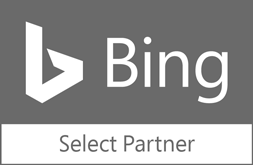 We are recognised as an official Bing Select Partner as a result of our high quality service offering, technology and online marketing expertise in accordance with Bing Ads. As an accredited agency, we are kept up to date with all of the latest information, tools and training for Bind Ads for effective campaign management. Click Consult is a Drum Recommended Agency. This means that our services have been confidentially rated by our clients and as a result we’re recommended for our SEO and PPC services . The Drum Recommended helps businesses to source trusted agency partners who have a happy customer base. Act-On provides an industry leading marketing automation platform that allows businesses to effectively market online. As an Apex Agency Partner, Click Consult can leverage Act-On to develop your inbound marketing strategy by helping you increase lead generation, create nurturing campaigns and assists in converting your leads into customers.